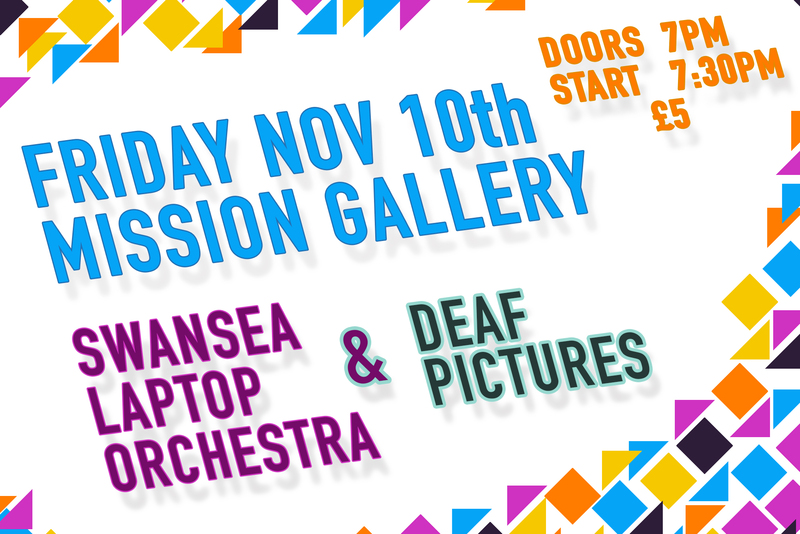 We are playing with our friends Deaf Pictures in the Mission Gallery in Swansea on Friday to close Doug Ashford's exhibition in collaboration with Mission Gallery, Swansea International Festival and NAWR. Doors 7pm, start, 7:30pm, £5. UPDATE: Check out photos from the performance here.